An intensely nourishing body oil to strengthen skin's natural moisture barrier and help brighten and even skin tone. Omega Oils 3, 6 and 9 deliver rich nourishment, while Turmeric boosts radiance, Balloon Vine calms and soothes and Winged Kelp protects for beautifully soft, supple skin. Apply to cleansed skin after bathing or showering. Spritz over your entire body and massage into skin until fully absorbed. 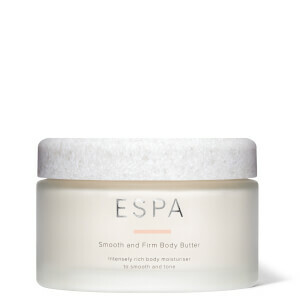 For an extra nourishing boost layer beneath your favourite ESPA body moisturiser. Coconut Alkanes, Oryza Sativa (Rice) Bran Oil, Caprylic/Capric Triglyceride, Coco-Caprylate/Caprate, Curcuma Longa (Turmeric) Root Extract, Plukenetia Volubilis Seed Oil, Octyldodecanol, Helianthus Annuus (Sunflower) Seed Oil, Ribes Nigrum (Black Currant) Seed Oil, Limonene, Cedrus Deodara Wood Oil, Citrus Aurantium Dulcis (Orange) Peel Oil, Tocopheryl Acetate, Retinyl Palmitate, Cananga Odorata Flower Oil, Alaria Esculenta Extract, Rosmarinus Officinalis (Rosemary) Leaf Extract, Citrus Nobilis (Mandarin Orange) Peel Oil, Citrus Reticulata (Tangerine) Peel Oil, Eugenia Caryophyllus (Clove) Flower Extract, Pogostemon Cablin Leaf Extract, Helianthus Annuus (Sunflower) Seed Oil Unsaponifiables, Eugenol, Jasminum Sambac (Jasmine) Flower Extract, Mentha Viridis (Spearmint) Leaf Oil, Plumeria Acutifolia Flower Extract, Rosa Centifolia Flower Oil, Linalool, Geraniol, Tocopherol, Cardiospermum Halicacabum Flower/Leaf/Vine Extract, Benzyl Benzoate, Citronellol, Benzyl Salicylate, Farnesol. 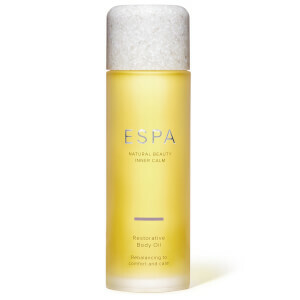 I love Espa products and this serum is simply the best. It is easy to use and smells divine. I use it in conjunction with Espa bath oil. I purchased this serum after a spa trip during which a therapist recommended her must have product. After usually finding oils much too heavy on my skin I purchased the triserum and after just one use I am addicted! The smell is amazing, it melts straight into the skin with a light nourishing feeling that leaves a ‘glow’ to your skin. I have recommended this product to my friends and family. Love the smell and leaves my skin looking like I just left the spa. My husband uses it as well!! This is such a beautiful product. I stared using it as I had been living in a hot country for 6 months and wanted to restore my skin. Although I’m not a sunbather, my skin felt dry just due to the climate and walking around in the sun. This worked after the first application. My skin feels like velvet. I would recommend it for maturing skin particularly, as it really does restore it. You feel so pampered too! I have been using the serum daily for a week and it has improved the tone of my skin and the dryness on my elbows has gone. 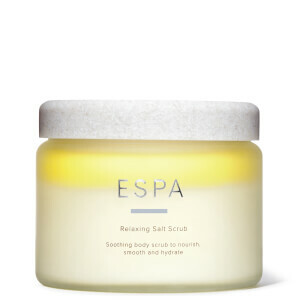 As it isn’t a large bottle, I am now using it a couple of times a week and using Espa’S bergamot body lotion daily instead. The body lotion is very moisturising, goes a long way and smells divine. This is a brilliant idea to put a body moisture in a spray bottle!! Areas that arnt so easy to reach can still get moisturised. Leaves my skin smooth and gently fragranced. Nourishing and light, smells great too. Great relaxing smell, easily absorbed oil. Brilliant for this time of year. Makes me feel special .